Born and raised in the Netherlands, I have travelled to 38 different countries, exploring the world in whatever way possible. 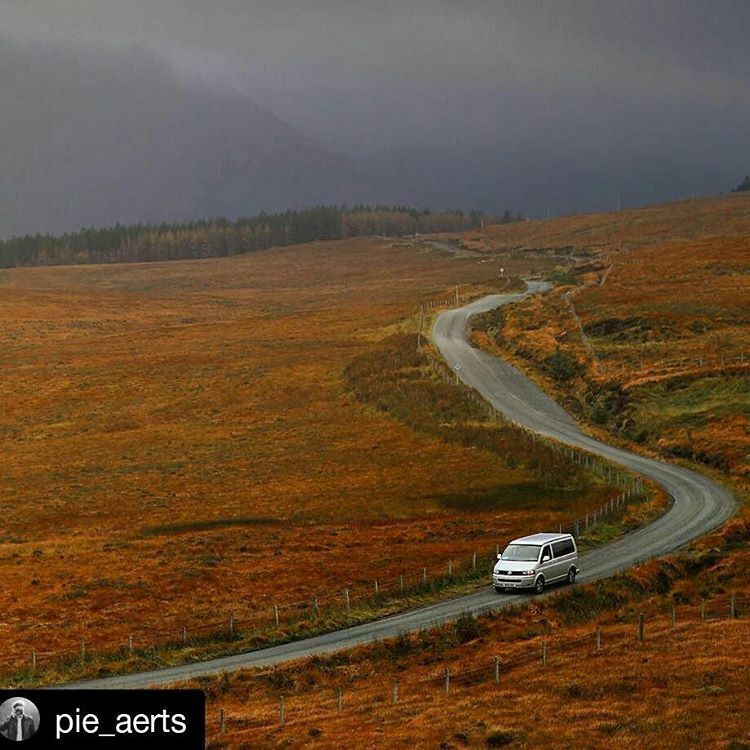 From that time I can tell you, one of my favourite ways to travel is by campervan. 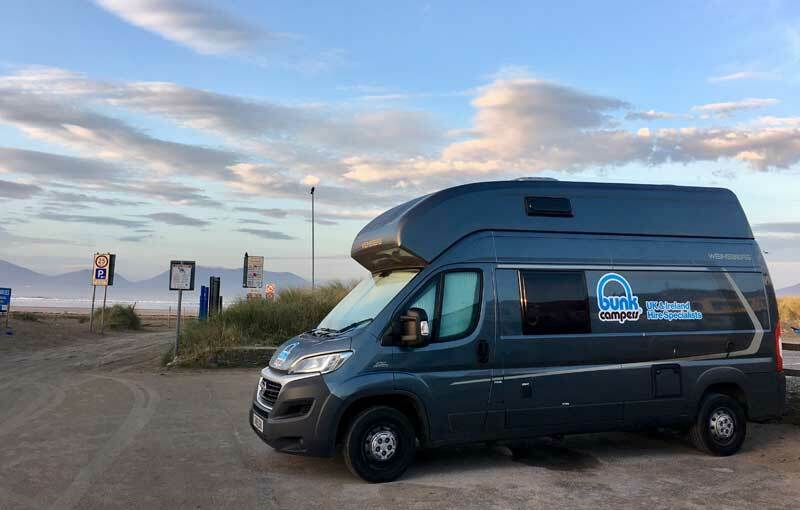 After hiring a campervan for 42 days to explore New Zealand, I couldn’t wait to pick up my Bunk Camper and explore Ireland’s famous Wild Atlantic Way. I love the freedom of having my own wheels because it allows me to explore a country at my own pace. I could get off the beaten track and visit more remote places, like driving to hiking trail heads and waking up to stunning views on deserted beaches. There are also plenty of opportunities for me to pull over to take pictures of all the stunning scenery (to the point where it drives my husband mad ;-). 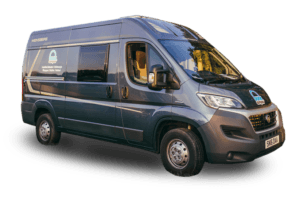 The freedom and flexibility that campervan hire affords means there is no need to book a hotel or plan where you’ll be by the end of the day. 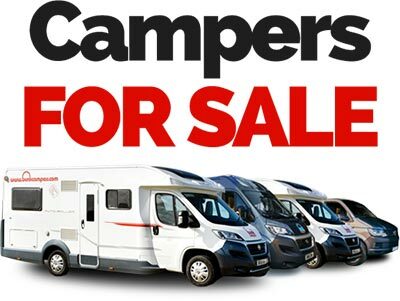 With your home on wheels you only need to find a place to park for the night! 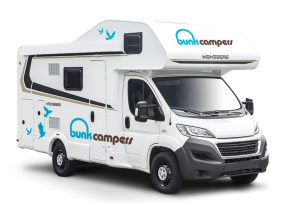 I hired the Vista campervan from Bunk Campers which is a compact and economical campervan that comfortably sleeps up to 4 people. 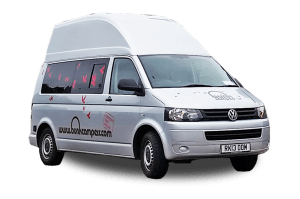 Being able to combine the cost of accommodation and transport was a big bonus, as both usually make up a large chunk of my travel budget. 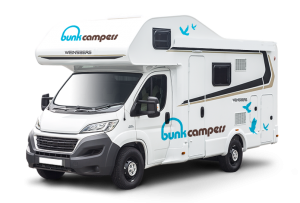 We picked up the Vista at Bunk Camper’s Dublin depot, located just a small distance from Dublin airport. 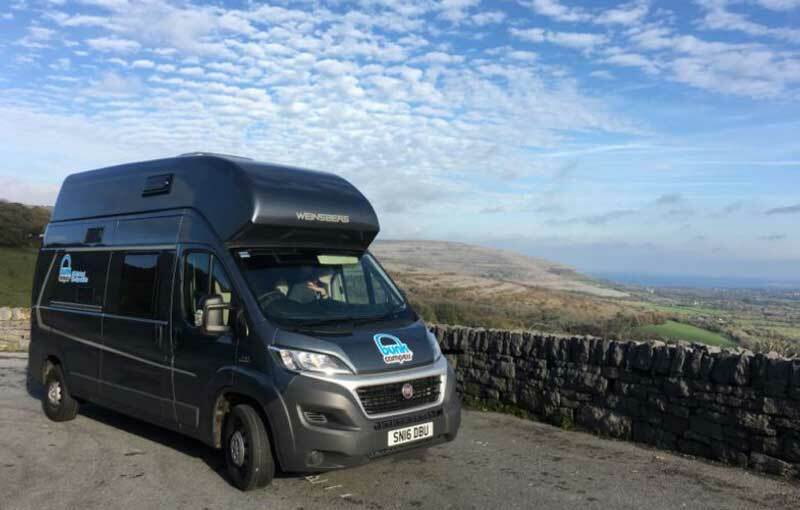 After picking up our campervan we headed west to explore the Wild Atlantic Way. No visit to Ireland is complete without a visit to one of it’s magnificent castles. 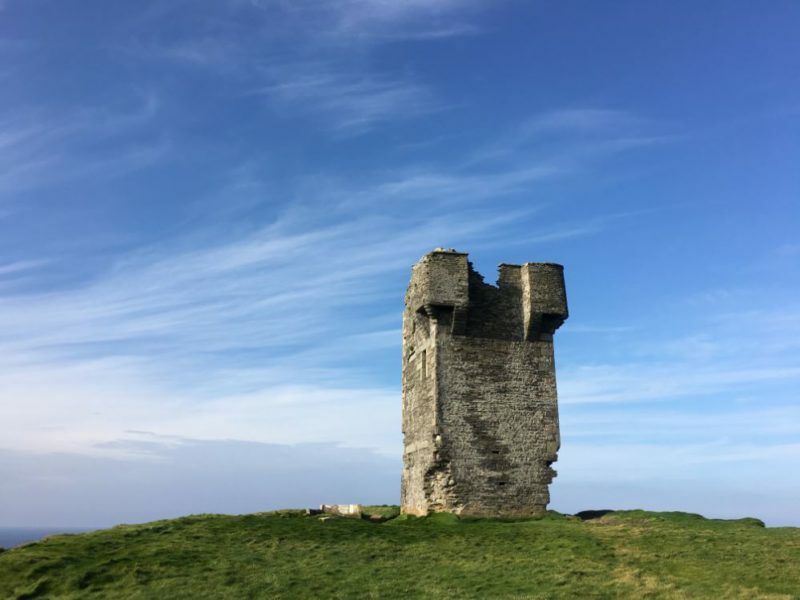 Dunguaire Castle lays just south of Galway city and is a 16th century tower house that sits on a rocky outcrop on the shores of Galway Bay. 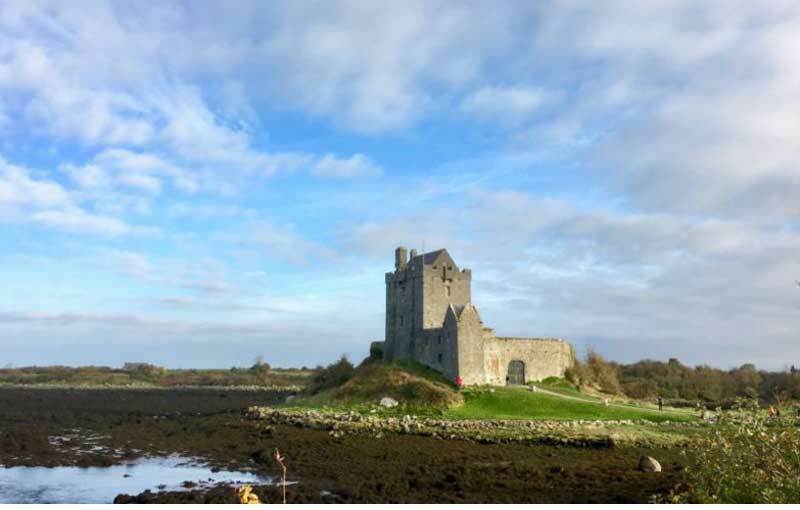 Its architecture is described as simple yet magnificent and it lies just short stroll from Kinvara village. Visit between April-October and enjoy a delicious banquet at the castle whilst being entertained with songs, stories and poems. 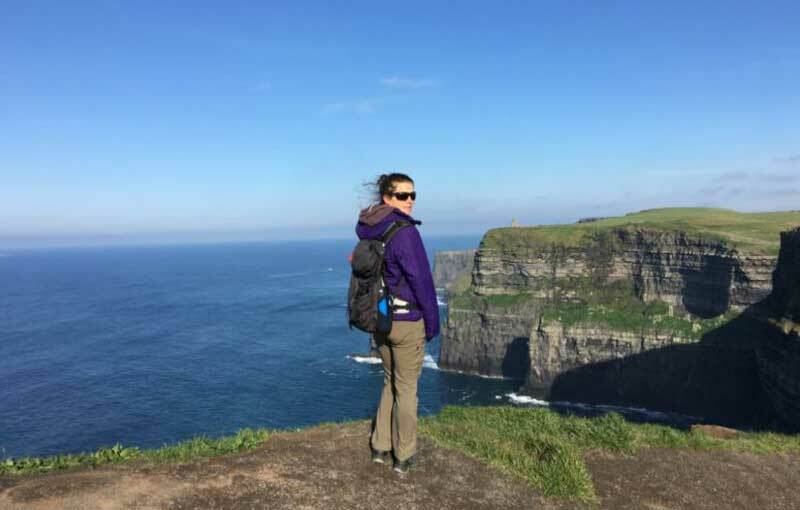 Sunny days at the magnificent cliffs of Moher! Ireland’s most visited natural attraction and I completely understand why! These amazing cliffs stand at an impressive 214 meters tall and drop straight into the pounding Atlantic Ocean. 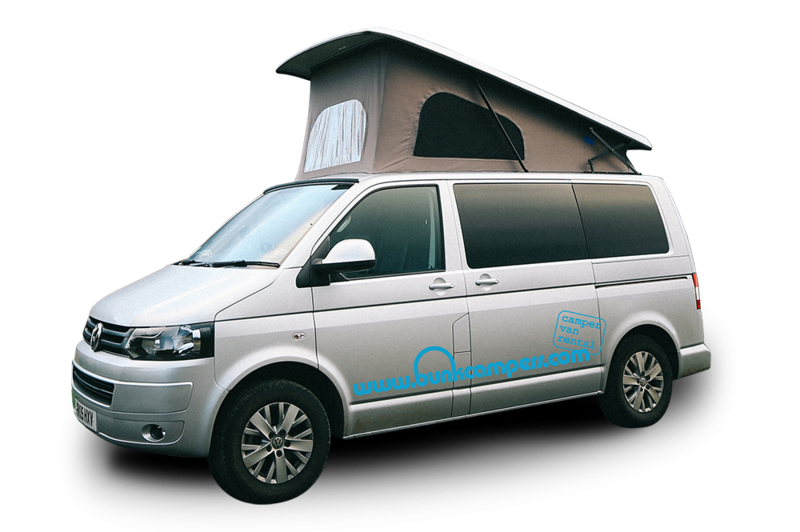 We parked our camper in the car park before taking a walk along the cliff top trail. Thankfully, we had a beautifully sunny day so you could see along the shore for miles. Hag’s Head is a strange fortification a short walk from the Cliffs of Moher. It’s the perfect place to get away from the crowd and admire the soaring cliffs and the endless ocean. 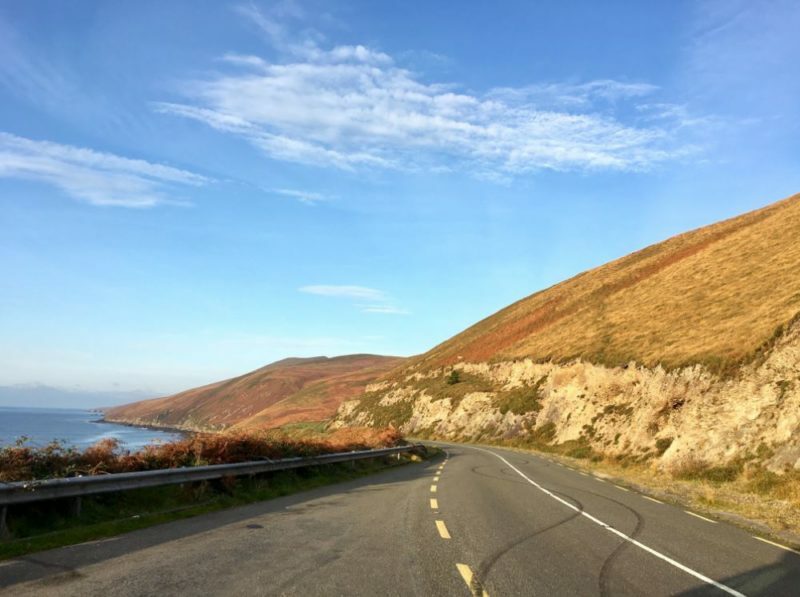 The coastal roads of Ireland are packed with twists, turns and incredible scenery. Ireland is famous for it’s beautiful landscape and the road to Dingle, co. Kerry, is no different.The road to the little village of Dingle was spectacular and I particularly loved the warm autumn colours of the vegetation. 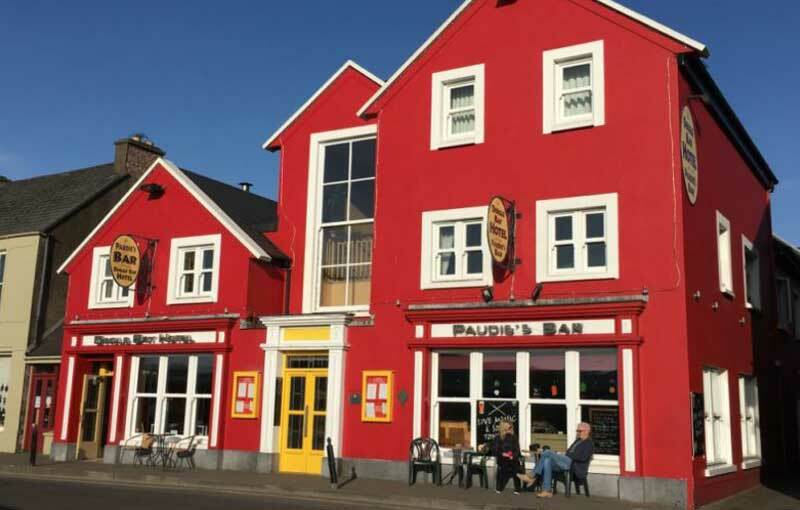 The town of Dingle: colourful, laidback and perfect for an early morning stroll. 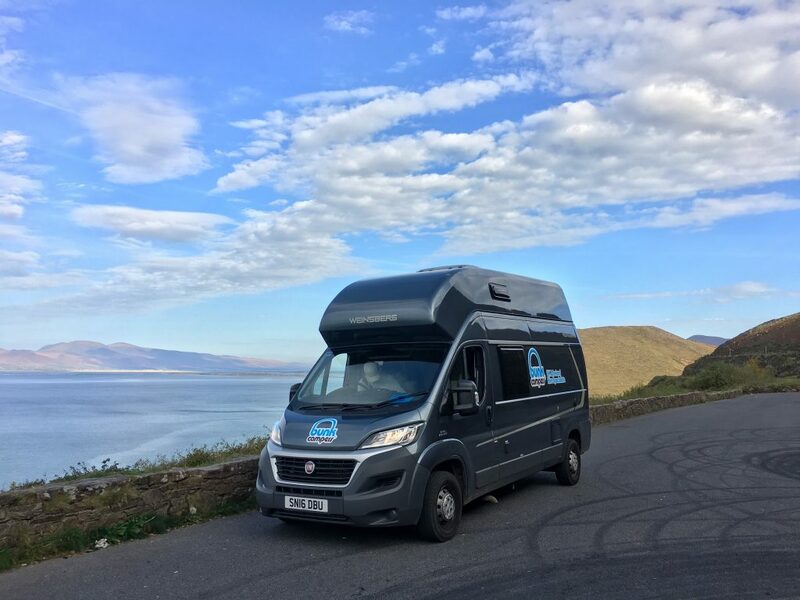 Having our campervan meant we could arrive early in the morning, meaning we had the whole day to explore! Dingle is home to a famous bottlenosed dolphin called Fungi who lives near by the harbour. You can take a boat trip along the coast to see Fungi & enjoy the beautiful bay surroundings. 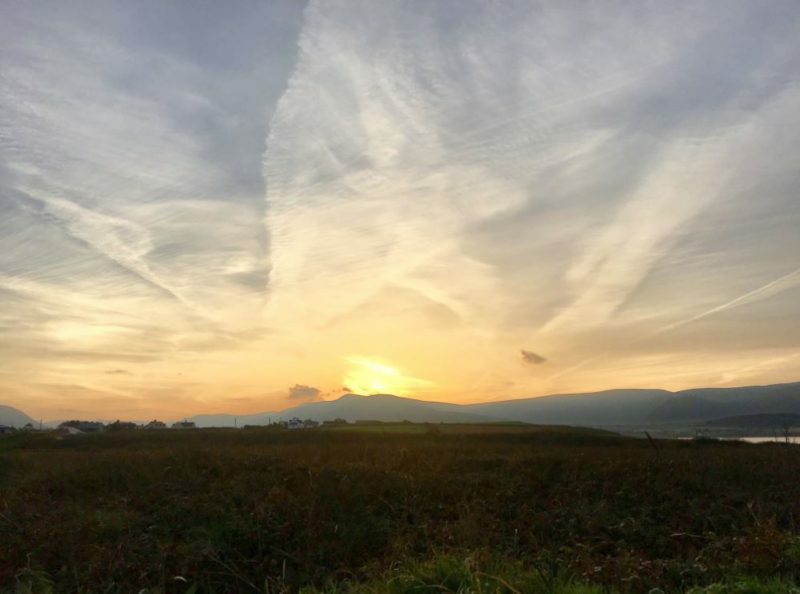 The Bentee Loop starts in Cahersiveen and is a really great hike! 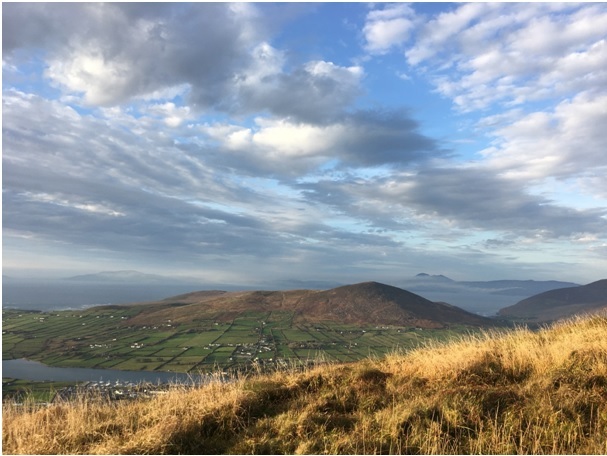 It’s a steep climb but the incredible 360 views over the Iveragh Peninsula are absolutely worth the effort… Because we had our Vista camper we could easily reach the Bentee Loop trailhead and meant we weren’t relying on tour bus timetables or public transport. The Ring of Kerry, one of the most beautiful roads I have driven in my life, was simply amazing! On the Ring we visited Killorglin, Cahersiveen, Sneem and Kenmare. If you have more time, I would have loved to visit Portmagee and Valentia Island as well… Next time, there is always next time! 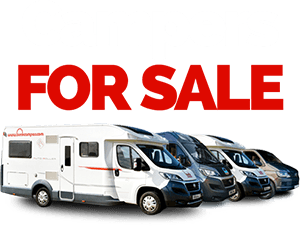 The Vista 4 berth camper with shower, toilet, GPS & reversing camera! 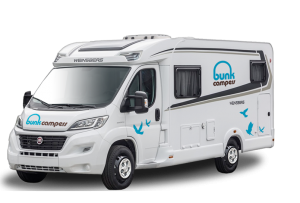 Bunk Campers’ Vista campervan was excellent and the on board facilities (cooking equipment, sink, gas hob, bathroom and toilet and GPS) made our trip run so smoothly. With comfy beds to relax in at the end of the day, what more could you need? 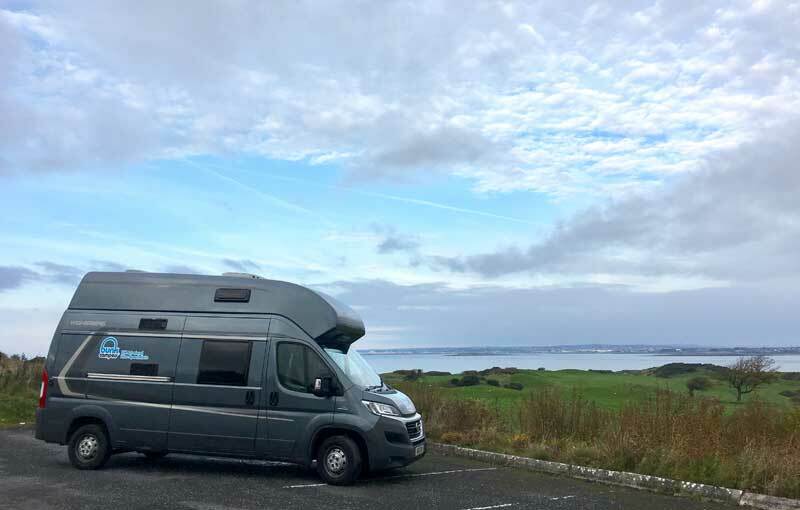 Having the camper allowed us to explore the Wild Atlantic Way at our own pace, get off the beaten track to places like the Stone Fort of Loher and stay overnight at the most beautiful locations, such as Inch Beach. 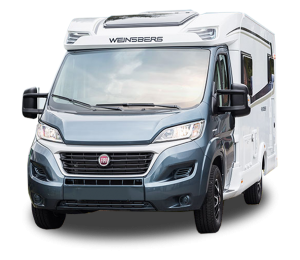 Visiting Ireland had been on my wish list for a long time and I doubt there are many countries more suitable for a campervan road trip. 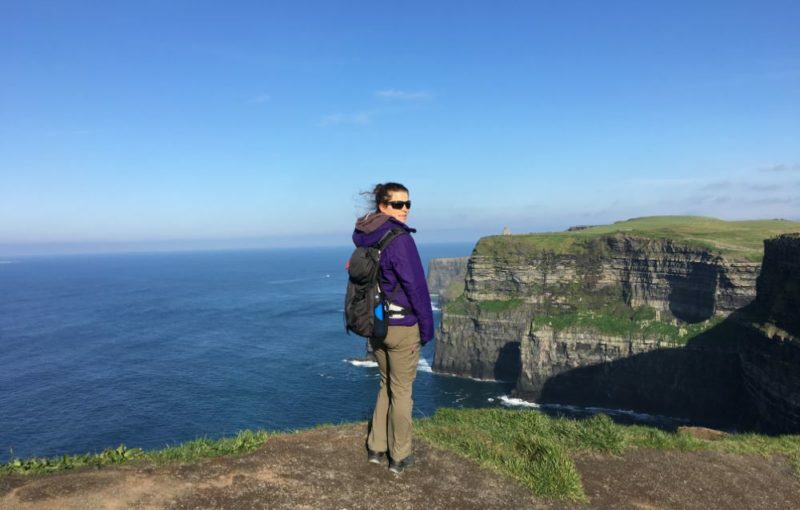 I went with expectations of picturesque soaring cliffs, cute stone houses, green hills and fairy-tale castles… Ireland proved to be everything that it was made out to be and I was not disappointed! Plus with five sunny days on our campervan road trip, Ireland really did everything to perfectly show off its beauty. I cannot recommend a campervan road trip around Ireland enough; it’s truly an unforgettable experience… Ireland, thank you! Read more about my trip on www.phenomenalglobe.com. 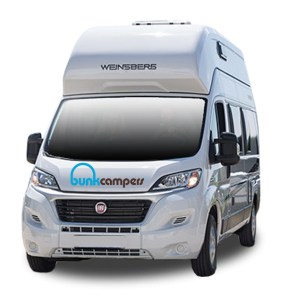 If you want to experience these and many other unforgettable moments along the Wild Atlantic Way, you can hire a campervan in Ireland with Bunk Campers from only £35/day. 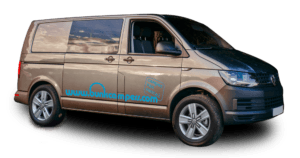 Use our online booking engine or email us for more information and booking!